• Reasonable shareholder salary. S corporations are in the unique situation where some compensation is excluded from payroll taxes. Many businesses take this too far. The IRS is looking closely at businesses who avoid paying a reasonable salary in order to lower their Social Security and Medicare bills. When determining salaries for shareholders, consider their experience, duties, responsibilities and time devoted to the business. Once you have a picture of their ongoing contributions to the business, research comparable positions and salary ranges to pinpoint a fair salary. Save your findings and calculations as backup to provide in the event of an audit. • Contractors or employees? Make sure consultants and other suppliers are not employees in disguise. The IRS looks at how much control you have over the work being done – the more control you exert the higher likelihood you may have an employee versus a contractor. Penalties can be very steep if the IRS decides your consultant is really your employee. If in doubt, ask for a review. • Expenses for meals and entertainment. The IRS is now disallowing any entertainment deductions, even if there is business conducted before or after the event. That means business meal documentation is now more important than ever and should include receipts, who attended the meal, and the business purpose of the meal. Bringing food in for business lunches rather than going out is a safe way to show business intent. If you have an event with both entertainment and food included, get two receipts – one for the entertainment and one for the food. • File your Forms W-2 and Forms 1099. Don’t forget to file all required 1099s and W-2s. Most of them are due on or before Jan. 31. The IRS is penalty crazy in this area with up to $270 per missing or incorrect form. Worried about the Cyber-Safety of your Business? How you can avoid E-mail Scams. 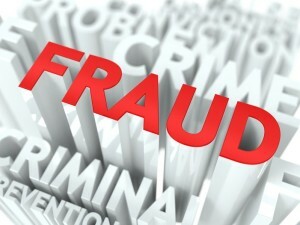 A common belief of identity theft is that it occurs mostly to individuals, for example when social security numbers and other personal information are obtained. Businesses are also subject to identity impersonation. The remainder of this article discusses business e-mail scams, and the best practices for minimizing their likelihood as suggested by the Federal Bureau of Investigation (“FBI”). Regardless of the nature of your business, anyone opening e-mail is a potential target for hackers. These illegitimate e-mails or “phishing e-mails” imitate e-mail addresses you would commonly send mail to or receive mail from. Keith Kelly of the New York Post reported that Bonnier Publications was defrauded of $1.5 million in May of 2015. Bonnier is a leading magazine publisher with offices in New York City and Winter Park Florida. According to Kelly, the cyber hackers breached the e-mail of then CEO David Freygang – who weeks after the scam stepped down from his position. An e-mail hacker impersonating Freygang instructed a Bonnier accounting department employee to wire transfer $1.5 million to China. Days after their first scam, cyber hackers made a second attempt at defrauding the media company. This time employees of Bonnier Publications were successful in thwarting off the thievery of the hackers, and saved the firm from another $1.5 million scam. Kelly reports that the Chinese international authorities have been “uncooperative” and have “not been helpful in identifying the owner of the account that was receiving the stolen money”. Frequently once the funds are out of the United States they are gone. It is difficult for firms and individuals to ever recoup their funds. In 2014 American businesses were robbed for over $200 million. The average amount lost in a case of this nature was $150,000. Approximately 2,000 American businesses have been negatively affected, and the number of victims is expected to grow rapidly as computer hackers increase in their ability and popularity. We are all potential victims for attacks, but most likely to be preyed upon are companies that send wire transfers and do not have proper internal controls. It is for this reason that the FBI has issued a fraud alert on wire transfers in an effort to vigilantly prevent and monitor any potential cybercrime. 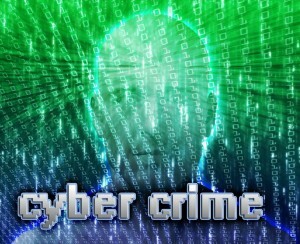 The FBI has a name for cyber scams such as the one Bonnier suffered, business e-mail compromise scams (BEC). In response to the rise of recent cyber attacks, the FBI has released guidelines and measures to prevent loss and repeat attacks on innocent U.S businesses. The IC3 Public Service Announcement does just that. Avoid Free Web-Based E-mail: establish a company website domain and use it to establish company e-mail accounts in lieu of free web-based accounts. Be careful what is posted to social media and company websites: job duties/descriptions, hierarchal information, and out of office details. Be suspicious of requests for secrecy or pressure to take action quickly. Out of Band Communication: establish other communication channels, such as telephone calls to verify significant transactions. Arrange this second-factor authentication early in the relationship and outside the e-mail environment to avoid interception by a hacker. Digital Signatures: both entities on either side of transactions should use digital signatures. However, this will not work with web-based e-mail accounts. Additionally, some countries ban or limit the use of encryption. Delete Spam: immediately delete unsolicited e-mail (spam) from unknown parties. Do NOT open spam e-mail, click on links in the e-mail, or open attachments. These often contain malware that will give subjects access to your computer system. Forward vs. Reply: do not use the “Reply” option to respond to any business e-mails. Instead, use the “Forward” option and either type in the correct e-mail address or select it from the e-mail address book to ensure the intended recipient’s correct e-mail address is used. Significant Changes: beware of sudden changes in business practices. For example, if a current business contact suddenly asks to be contacted via their personal e-mail address when all previous official correspondence has been on a company e-mail, the request could be fraudulent. Always verify via other channels that you are still communicating with your legitimate business partner. Our firm strongly suggests that you take the time to click and read the following link to a FBI Public Service Announcement provided by their internet cybercrime specialists. If you believe that your business may have received a fraud email or is victim to BEC, we recommend that you immediately file a complaint with the IC3 at www.IC3.gov . Remember to protect business information because the business saved could be your own. We would be glad to help you to review your internal controls over wire transfers. Please call us at 516-208-8363 if you have questions or would like additional information. July 10, 2015 by admin · Comments Off on Worried about the Cyber-Safety of your Business? How you can avoid E-mail Scams. It’s getting hot outside, and you probably don’t want to think about tax planning. But we have put together some summer tax tips so that you can get the most out of your 2015 return. Before you head off to the beach, please take a look below at what we have prepared. Take a credit for summer day care. If you have one or more children under the age of 13, your costs of in-home childcare, a day care facility, or sending the kids to day camp may qualify for the Child and Dependent Care Tax Credit. The costs must be incurred to enable you (and your spouse, if you file jointly) to work or look for work and you generally must report some earned income. Payments to your spouse, your dependent, or your child who is under age 19 at the end of the year aren’t eligible. Overnight camps and summer school tutoring won’t qualify either. The credit can equal up to 35% of qualifying expenses, depending on your income. Total expenses are limited to $3,000 for one child and $6,000 for two or more. Combine business with pleasure. 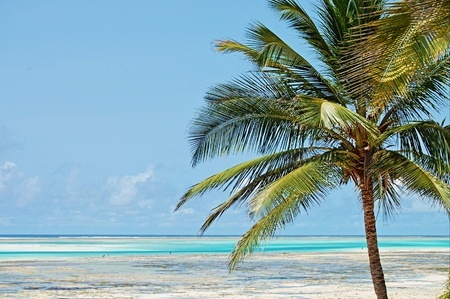 Add vacation days to your summer business trip, and bring the family along. You can deduct most of your own (but not your family’s) unreimbursed costs, such as airfare, meals and lodging during the business portion of your trip. Put your kids to work. If you own a business, give your children a summer job. You can deduct their wages, and if you’re a sole proprietor, you don’t have to withhold social security or Medicare taxes as long as your kids are under 18. They can even use their earnings to set up an IRA. Clean out your garage and take a deduction. Donate your unwanted property to a qualifying charity and deduct the fair market value. Make sure to get a receipt and check the documentation rules for high-value items. The breakeven point in your business is where all direct and indirect costs have been met. You are neither making nor losing any money. The breakeven point can be measured in number of units sold, dollars of total sales, or possibly hours billed out. The calculation of the breakeven point is an iatrical component of the cost volume profit analysis for any business. We’ll explain more about this below. To calculate your breakeven point, you must first determine your direct (variable) and your indirect (fixed) costs. Direct costs vary with the number of units sold. For every unit you sell, you must buy another set of the components. Your indirect costs don’t normally vary for a given volume of business. Your gross profit per unit (sales less direct costs, known as the contribution margin) goes toward paying for these indirect costs. Once the indirect costs have been paid, you have reached the breakeven point. 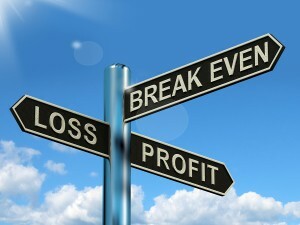 The gross profit from every unit sold over the breakeven point goes to the bottom line as profit. Please check out our guide under the “Services” tab of our website, and give us a call if you have any questions about Understanding the Breakeven Point. As an entrepreneur, you work hard for your money. There is almost nothing worse than experiencing pilferage, embezzlement, and other types of misappropriation. Internal controls are extremely important to the entrepreneurial company. Please check out our guide under the “Services” tab of our website, and give us a call if you have any questions about Preventing Employee Fraud. Please call us for details about other tax breaks that will apply for your 2014 tax return. Remember we are just a telephone call away! The end of another year is quickly approaching, and it’s once again time to take the proper steps to reduce taxes on your personal and business returns. 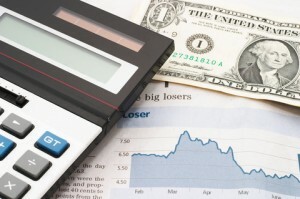 Tax planning strategies for 2014 includes accelerating deductions and deferring income. Section 179 of the IRS tax code makes it possible for businesses to deduct the full price of qualifying equipment or software purchased or financed during the tax year. If you buy or even lease qualifying equipment, you are allowed to deduct the full price from your gross income up to a maximum deduction of $25,000 in 2014. All businesses that purchase, finance, or lease less than $200,000 in new or used business equipment during tax year 2014 qualify for the Section 179 Deduction. 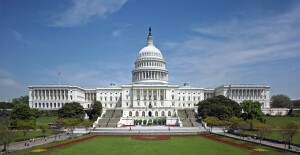 If you spend more than $200,000 the Section 179 deduction begins to be reduced. This works great with your typical business. Section 179 applies to virtually every type of equipment you can buy. This includes passenger vehicles used 50% or more for business, however, there is are limitations. It also includes off-the-shelf software, qualified leasehold improvements and retail improvements. There is one catch however, you need to place the property in service by December 31, 2014. It’s that time of year again to begin taking the steps necessary to reduce taxes on your personal returns. Below we have put together some tips to ensure you make the most of this planning time. 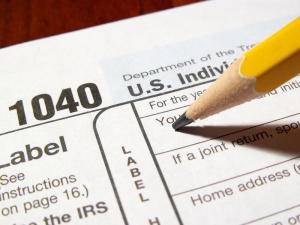 Bunch your deductions: For example, bunching deductions on your personal income tax return can make sense for 2014. Bunching means you concentrate itemized deductions into the year offering the most tax benefit and claim the standard deduction in alternate years. Even if the current limitation on itemized deductions applies to you, bunching can be effective when combined with other tax planning such as reducing adjusted gross income. One category of itemized deductions that lends itself to bunching is charitable contributions. In general, as long as you have written acknowledgment from a qualified charity, you can deduct donations in the year you write the check or put the charge on your credit card. 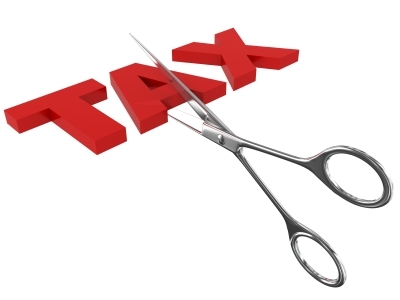 Instead of cash, donating appreciated assets before December 31 may be more tax advantageous. When you contribute property you have owned for more than a year, you can usually deduct the full fair market value. For instance, say the value of the shares you own in a mutual fund has gone up since you bought into the fund. If you sell those shares and donate the proceeds to charity, you’ll have capital gain. But when you donate the shares to the charity, you can claim a deduction for the value on the date of your donation, garnering a benefit without the related income tax bill. Other itemized deductions you can control in order to maximize tax savings include real estate taxes and state income taxes. Check exposure to the AMT: Just remember to check your exposure to the alternative minimum tax and the 3.8% net investment income tax when deciding in which year to pay these tax bills. Why? Certain itemized deductions – such as taxes – are disallowed under the AMT rules, but can help reduce exposure to the net investment income tax. What if you’re not planning to itemize? Taking a look at your deductions is still a useful exercise. One reason: The standard deduction is also disallowed under AMT rules, and you may benefit by itemizing even when your total itemized deductions are under the threshold. The standard deduction for 2014 is $12,400 when you’re married filing jointly and $6,200 when you’re single. Monitor adjusted gross income: Another tax planning strategy is to reduce adjusted gross income (AGI). One way to do this on your personal tax return is to maximize above-the-line deductions. These are expenses you can claim even if you don’t itemize. Above-the-line tax savers include such items as retirement plan contributions, student loan interest deduction, and the health savings account deduction. Consider shifting income: A planning strategy to help reduce taxes on your personal returns is shifting income among family members. An income-shifting technique is to make gifts of income-producing property to family members in lower tax brackets. (Be aware of the “kiddie tax.”) Though you can’t take a tax deduction for gifts, future income is taxed to the recipient, and may mitigate your exposure to the 3.8% net investment income tax. Gifts of up to $14,000 per person ($28,000 when you’re married) made before year-end incur no income, gift, estate, or generation-skipping taxes. The Affordable Care Act: How will it affect your 2014 taxes? Staggered start dates. Exceptions. Waivers. Are you still trying to determine how the health care laws will affect your 2014 personal and business federal income tax returns? We can help. Here’s an overview we’ve put together of some current rules. Here’s an overview of some current rules. Individual penalty. The 2014 Form 1040 has a new line for reporting the “individual responsibility payment.” You’ll owe this penalty if you or your dependents did not have health insurance during the year and don’t qualify for an exemption. Individual premium credit. Depending on your income, you may be eligible for a reduction in the cost of your health insurance premium during the year. When you signed up for insurance on the health insurance exchange, you had the option to use the reduction to offset your premiums as you paid them. Alternatively, you can apply for the credit when you file your 2014 federal income tax return. The amount of the credit depends on your income and family size. Net investment income surtax. You may be familiar with this 3.8% surtax from last year’s return. It applies to net investment income – income such as dividends, interest, and capital gains, less related expenses – when your adjusted gross income (AGI) exceeds certain levels. Those levels have not increased for 2014. When you are married filing jointly, the surtax applies if your AGI exceeds $250,000. When you’re single or filing as head of household, the AGI threshold is $200,000. Medicare surtax on wages. As in 2013, this 0.9% surtax applies to wages, compensation, and self-employment income when your AGI exceeds $250,000 and you’re married filing jointly. When you’re single or filing as head of household, the AGI threshold is $200,000. Business health insurance premium credit. Did you pay at least 50% of the health insurance premium costs for your employees during 2014? If you employed fewer than 25 full-time equivalent employees and paid them wages of less than $50,800, you may be able to claim a credit of up to 50% of the premiums you paid. The credit is available even if you claimed it in prior years. Tax-exempt organizations can also benefit. Business fee. When you self-insure your business health care expenses, you may have to pay a fee to help fund a healthcare research institute. The fee may also apply to your health reimbursement arrangement or health flexible spending arrangement. Employer penalties. Depending on the number of workers you employ, you may be penalized for not providing health insurance and/or not providing affordable health insurance. Neither penalty applies for tax year 2014. However, you’ll want to review your workforce to determine whether the penalty will affect you in the future. Beginning January 1, 2015, the penalty will apply when 100 or more full-time employees work in your business. The penalty applies in 2016 when your business employs 50 or more full-time workers. When you employ fewer than 50 workers, you’re not subject to the penalty. Employer reporting. The health care laws included a requirement for reporting on Forms W-2 the cost of the health insurance coverage you provide to your employees. However, reporting is optional for 2014 when you file fewer than 250 Forms W-2. 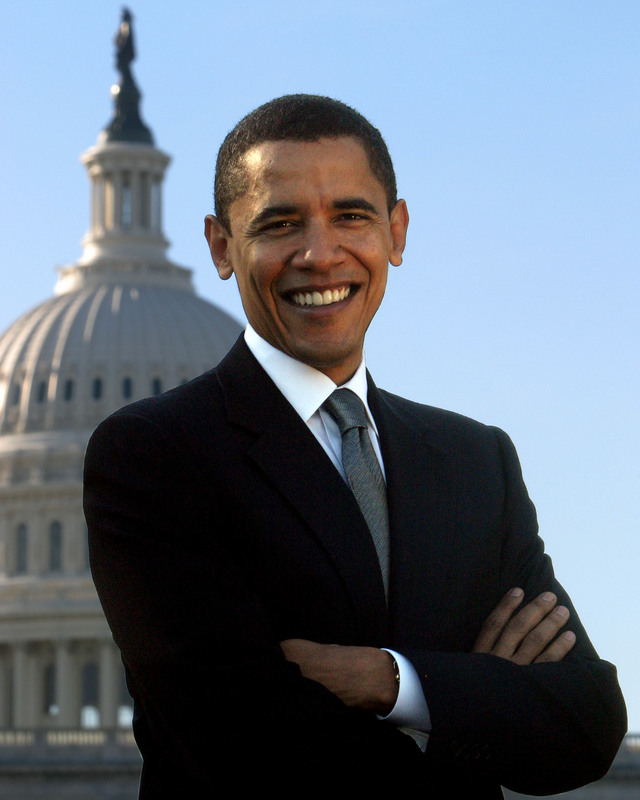 November 26, 2014 by admin · Comments Off on The Affordable Care Act: How will it affect your 2014 taxes? One of the most difficult business decisions is to walk away from money that you have already spent. 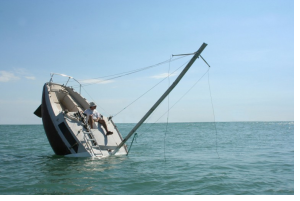 These losses are called “sunk” costs. This can be extremely frustrating, but the only efficient way to move forward is by focusing on future costs rather than dwelling on past losses. Below we have put together some ideas to help you understand sunk costs, and how you should go about making business decisions after experiencing them. Should you have any questions we are only a telephone call away. When a business incurs costs that can’t be recovered, those costs are of no use when making business decisions. These expenditures, called sunk costs, can include money spent, time, effort and energy used that are no longer recoverable. For example: You’ve invested $40,000 in a new website, and it’s become apparent that it will cost another $20,000 to complete it. Regardless of what you do going forward, you’ll be unable to get back that initial $40,000. Now an opportunity comes along where you can buy a completed website for $12,000. At this point, your only choice is whether to spend 20,000 or $12,000 for the same website. Whatever you decide, the initial $40,000 investment will be gone – a sunk cost. All else being equal, the best choice is the $12,000 facility. Now assume the same $40,000 sunk cost with an additional $12,000 needed for completion. An opportunity to buy a similar completed website for $16,000 arises. Obviously you’ll go forward with the $12,000 completion costs, even though the total cost of the facility will be $52,000 rather than $16,000. The $40,000 sunk cost remains irrelevant. Another example: Your company has spent time and money developing a new mobile app, and you’re understandably proud of the result. However, when you test market the product on your customers, you discover that most of them have no interest in it and wouldn’t buy it at any price. It is now time to swallow your pride (along with the sunk development costs) and walk away from your product. It’s hard to forget about time and money you’ve already put into a project, but once such costs become irrecoverable, it’s counterproductive to factor them into your company’s decision making process. From that point forward, your choices should be based only on expected future costs.